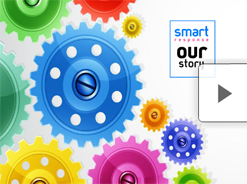 SmartResponse is a leader in online marketing solutions for advertisers. Our reach includes Denmark, Sweden, Norway, Finland and The Netherlands. With nearly a decade of experience in permission marketing, The SmartResponse team is the no cure – no pay expert in Scandinavia. Our staff of experts crossing each region (DK, SE, FI, NO), provide fast, reliable and smart service. The SmartResponse team is well respected in the industry as informed marketers who can help build and deliver optimized campaigns for your company. We are a no cure – no pay company. Our consistent and reliable delivery rates are what keep us the permission based marketer of choice for our advertisers. We work with over 1,000 clients across Scandinavia. Lead Validation. We Take Quality Control Seriously. Valid leads are essential to achieving the full benefits of an online lead-generation campaign. 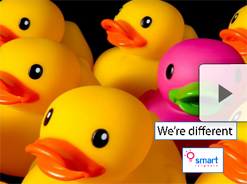 With SmartResponse's extensive validation program, we strive to ensure our customers against fake addresses and an unnecessary waste of time in the telemarketing department. Please contact us if you are interested in learning more about our lead validation process. Leveraging both our internal database of quality leads, we also leverage our growing affiliate network to deliver results to our advertisers. Our creative services department has nearly 10 years experience creating engaging designs for our advertisers. We can create your banner ads, landing pages, lead gen platforms, newsletters etc. 1999The company started in 1999 as a website for Danish consumers to receive exclusive deals and offers. The popular consumer club, Forbrugerliv.dk, is still the largest consumer club in Denmark today. 2001In 2001, Forbrugerliv.dk leveraged their growing database and entered the permission emailing market. 2005In 2005, Forbrugerliv.dk announces the creation of SmartResponse-Media. Using an exclusive and responsive in-house database, Forbrugerliv.dk saw an opportunity to provide quality leads to neighboring markets outside of Denmark. 2006Shortly after, in 2006, media giant JP/Politikens Hus also saw the value of SmartResponse-Media’s online marketing solutions and bought 50% of the company. As part of JP/Politikens Hus, SmartResponse-Media entered the Swedish market. 2007SmartResponse-Media entered the Norwegian market. 2009SmartResponse-Media entered the Finnish market. 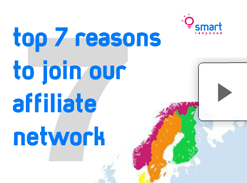 2010With an expension across all of Scandinavia and Finland, SmartResponse-Media effectively connects advertisers with nearly 6 million potential leads. 2011SmartResponse-Media rebrands as SmartResponse. In 2011, SmartResponse includes Search services and expands the affiliate network to CPS campaigns.